A puzzle you can use! Wooden pieces easily snap out to be assembled with no tools needed. 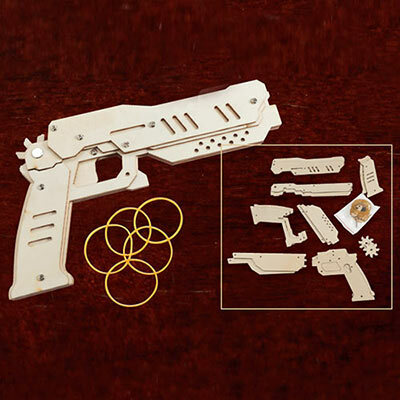 This Secret Agency Rubber Band Gun features multiple shot action for endless fun. Instructions included. Ages 8 and up. 10"l.